Official online store for the Bird Photographer of the Year competition. Promoting the art of bird photography and supporting conservation. Bird Photographer of the Year is a global competition with a growing reputation for featuring the best bird photography from around the world. Our aim is to promote the art of bird photography, the photographers themselves and support conservation by raising money for conservation projects through organisations such as the British Trust for Ornithology and Rutland BirdFair. By purchasing directly from us through this store, you will be ensuring a greater proportion of your money goes towards helping conservation. Thank you for your support and we hope that you enjoy the competition and the resulting products on offer. 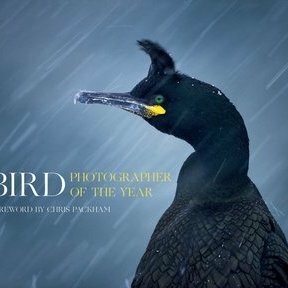 Bird Photographer of the Year is an international photography competition which was first established in 2015 by Nature Photographers Ltd and the British Trust for Ornithology. The competition is a celebration of avian beauty and diversity, and a tribute to the flexibility and quality of today’s modern digital imaging systems. Actively supported by BTO president and head judge Chris Packham, the competition has proved hugely successful in the short period in which it has been running. Attracting thousands of entries from all around the world, the winners and shortlisted photographs are featured in a stunning coffee-table book published by HarperCollins and available to purchase on this website.